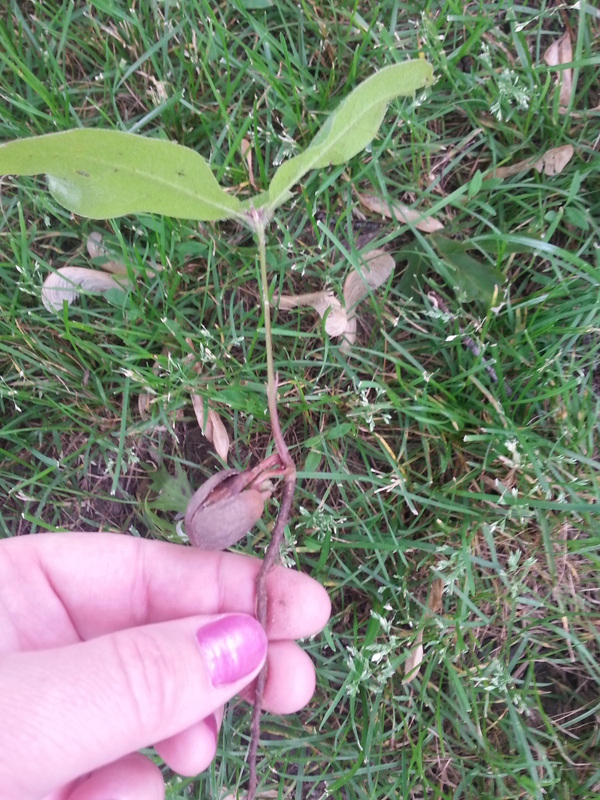 While I was working in the yard today, I found this new little tree (see photo) and it blew me away. The seed wasn’t even in the ground, it was lying on the ground, but it had sent the roots down and the stem up. Without any assistance from anyone the seed did what it was made to do, it grew. Seeds are fascinating. They are tiny seemingly inconsequential things. But inside them are plants of all kinds…mighty oak trees, fruit trees, beautiful flowers, vegetable plants, weeds, and even poisonous plants. There’s a lot in the Word about seeds and reaping what you sow. All seeds are designed to take root and grow. That’s just what they do. So be careful what seeds you are sowing in your life and the lives of others. By Jillbeingstill in Random on June 4, 2014 .